Recently, Zion Mennonite Church in Hubbard celebrated 125 years. Now they're taking their quilts to a sale for world relief. Mennonites provide service through volunteering all over the world. Many of the new congregations are in South America and Africa including Brazil, Honduras, Libya, and even Burkina Faso. Congregants also have been available, in partnership with FEMA, to help with disasters in U.S. But it's the history and the caring that make this church so fascinating. The congregation is like a family. If someone is sick, loses their job, has a death in the family or some other problems, congregants take over providing funds, meals, babysitting or whatever is necessary. "Over the years, the church has given more than $500,000 to the Mennonite Central Committee," said Zion Mennonite's lead pastor Mathew Swora. "And throughout the years, our families have benefitted from other members coming to their aid," added Pat Hershberger, the church's historian. 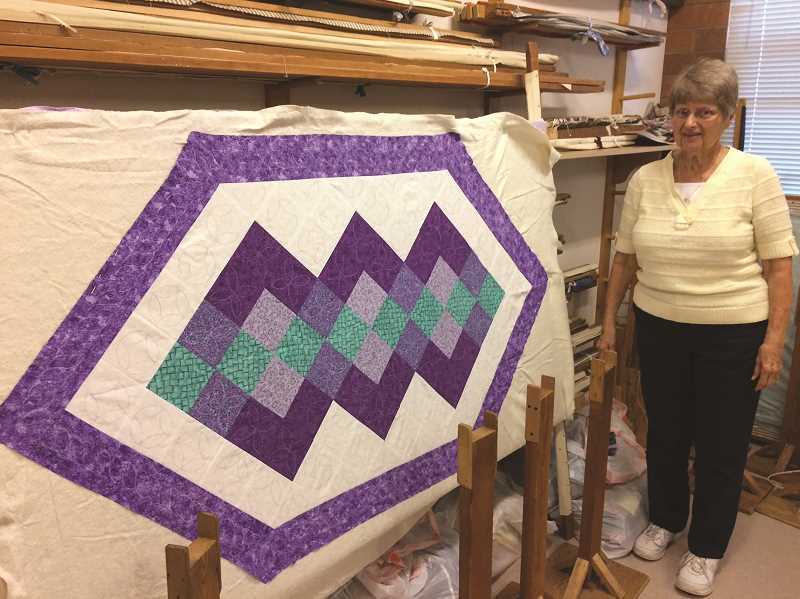 For years the church has featured its women congregants making quilts. But it's not just the quilts, the women make quilts, but they also teach how to make them and many have attended these sessions and are now making quilts on their own. This year, there will be a display and sale on Oct. 13, titled "Oregon Mennonite Festival for World Relief." The festival will be held on Saturday, Oct. 13 at the Linn County Fair & Expo Center from 7:30 a.m. to 2 p.m. with all kinds of features. One of the most popular will be Marta's Haus, which will offer a huge selection of fabrics along with supplies, patterns and books. Additional items for sale include gifts and décor, a Country Store offering fresh produce, kitchen and home items, baked goods and used books.